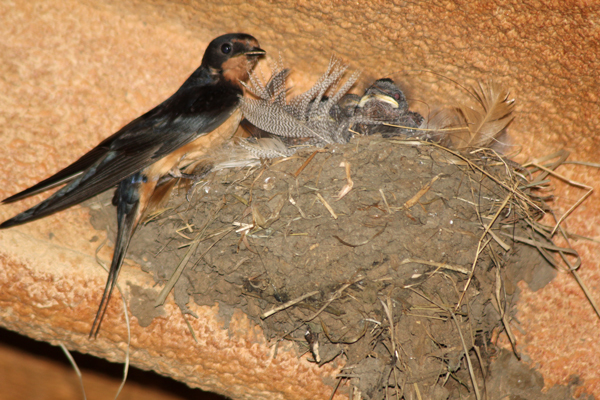 With a 330′ barn, we have a LOT of spots for the swallows to nest. 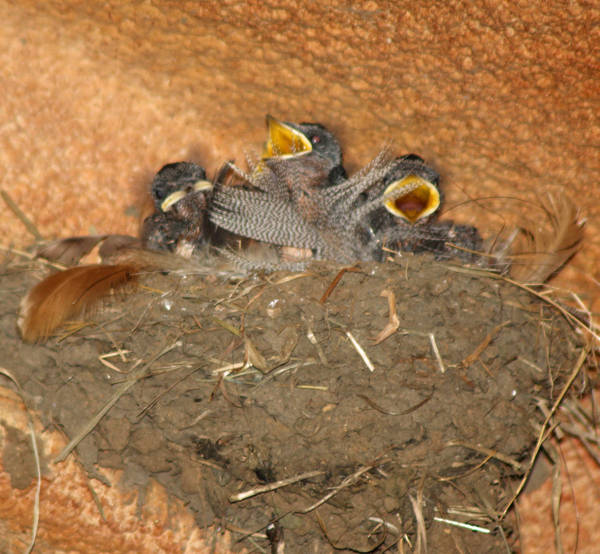 I really enjoy watching the parents feeding their babies and watching the babies grow and eventually leaving the nest. especially when they open their mouths and start screaming for their meal. 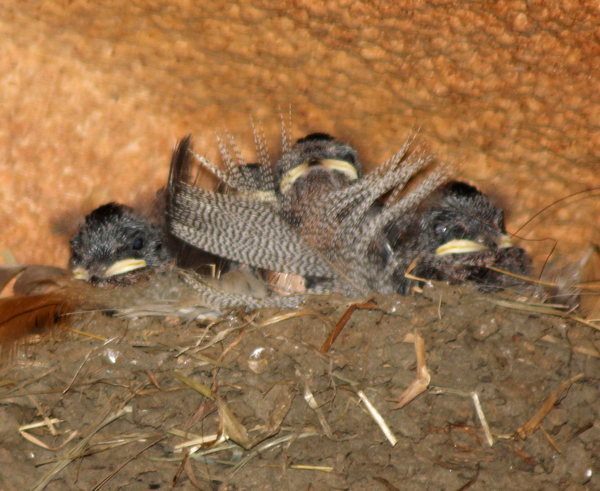 The parents are constantly flying in and out feeding the little ones. 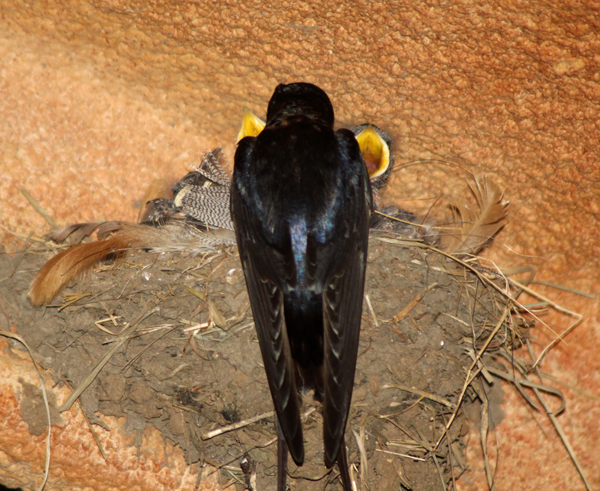 I like a lot of things about the swallows, but it is their bug catching abilities that I appreciate the most. The swallow population is strong here. I counted almost 100 of them lined up on the telephone line the other day, but Fall is in the air and they will be leaving soon. I will look forward to their return next year.